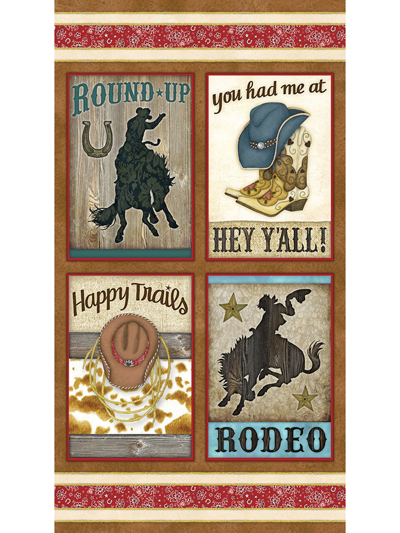 Novelty Fabric Panels - Rodeo Panel 24" x 44"
Rodeo Panel 24" x 44"
Go on a wild ride with this panel! 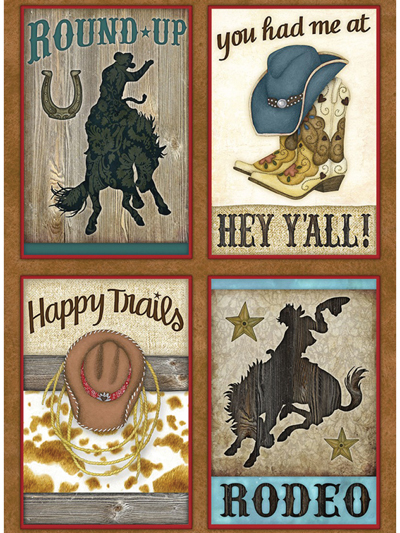 Express your love of country traditions with this cute panel featuring blocks with cowboy accessories and rodeo riders! Full panel size is 24" x 44".